Are you looking to start food business in Moradabad? You have reached the right place. Chaat Ka Chaska food franchise in Moradabad is the best opportunity for you with low investment and great ROI. With a concrete business plan and a good team support Chaat Ka Chaska franchise would help you in achieving a good profit goal. We provide you food café opening support, real time guidance, franchise training, manpower recruitment, staff training, equipment supply and all these ensure that you start your street food business in Moradabad without facing any challenges or difficulties. So, if you are interested in starting a profitable business in Moradabad then, start it with confidence with our end to end food franchising support and guidance. Why Chaat ka Chaska Franchise in Moradabad? Moradabad is popularly known as ‘Peetal Nagri’ or the Brass city. Moradabad is known worldwide for its high quality brass handicrafts that are exported all over the world. And also known as City of Nakshatra, Moradabad is located in the state of Uttar Pradesh and is situated on the banks of the River Ramganga. It is also a tourist place and people from different states come to explore the brass city. The city has potential growth for food café or restaurants. There are many favorable places where you can open your food store or trendy restaurants for street foods. Moradabad has huge potentials for growth in food franchise business. Many shopping malls have opened in Moradabad and also there are many supermarkets that offer great opportunity for street food franchise business. The tourist, students and also the local residents have high demand for such hangout places in Moradabad where they can sit and relax and also enjoy some quality time with their friends and family. Thus, you can see that Moradabad has really high-growth potential of food business and this is why you should not miss the opportunity of food franchise business in Moradabad offered by Chaat Ka Chaska a venture of Brewbakes Café. If you are interested in opening your own food business in Moradabad then, Chaat Ka Chaska food franchise is a golden opportunity for you with low investment and enjoy sufficient margins. 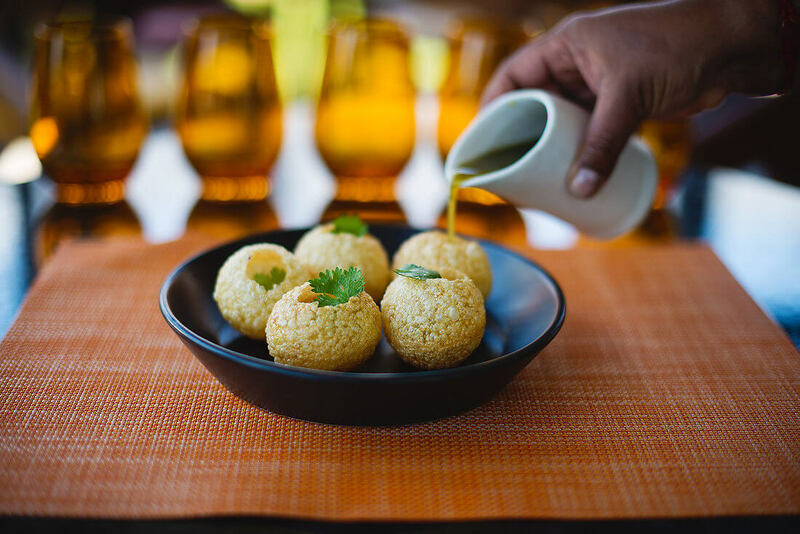 Street food business is experiencing tremendous growth in India as all the foodies want ready to serve foods such as Chaats, Panipuri, Sevouri, Dahi Bhalle, Bhelpuri, Golgappa, etc. Chaat Ka Chaska is one of the leading brands in the food industry and also has foods that are hygienically prepared and served using finest quality ingredients. So, doing business with Chaat ka Chaska would be a very safe business. We serve lip-smacking Indian street foods such as Golgappa, Chaat, Bhelpuri, Sevpuri, Dahi Bhalle, etc. made with high-quality ingredients. Get full franchise support such as pre-opening support, real time guidance, extensive training, staff training, and of course the brand loyalty of Chaat Ka Chaska, powered by Brewbakes Café. So don’t miss the opportunity to be your own boss establishing your food business in Moradabad and be the partner of India’s leading and growing food business family.